An affordable, comprehensive solution that helps you better manage information across small workgroups or large enterprises. Amazing renderings and animations. In minutes. KeyShot is an entirely CPU based standalone 3D rendering and animation system for 3D data. SOLIDWORKS 3D Design, Analysis and PDM solutions will enable you and your team to quickly transform ideas into products. A complete solution for the electrical engineer from design concept through physical product to the manufacturing output. 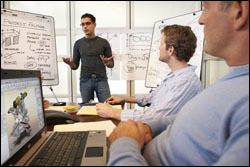 Create dynamic technical communication documents like training materials, assembly instructions, and sales presentations. 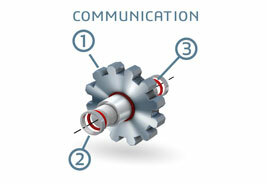 SOLIDWORKS Composer software leverages existing 3D CAD data to create and share dynamic technical communications. Subject your designs to the same conditions that they'll experience in the real world. Verify your design to save cost. 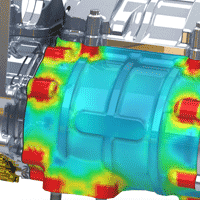 Simulation lowers cost and speeds time to market by reducing the number of physical prototypes before going into production. You can evaluate the manufacturability of your parts and molds at the same time you design for form, fit, and function. SOLIDWORKS® Electrical software simplifies electrical system design with its intelligent design tools, including a comprehensive parts database, and real-time integration of your 2D schematics and 3D models. 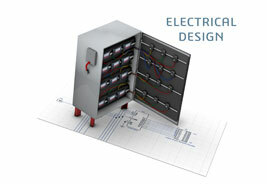 A single package combines the 2D electrical schematic functionality of SOLIDWORKS Electrical and the 3D integration of SOLIDWORKS Electrical 3D. 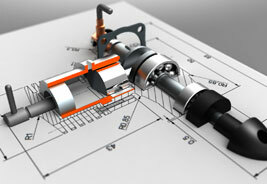 KeyShot - Amazing renderings and animations… In minutes. KeyShot 6 is an entirely CPU based standalone 3D rendering and animation system for 3D data. It has been designed to take the complexity out of rendering realistic images. KeyShot is used by designers, engineers and CG professionals worldwide to quickly and easily create realistic images and animations of their 3D models. 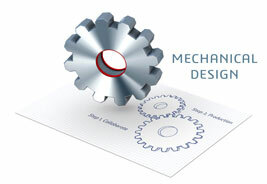 Use DriveWorks locally or on the web to configure custom designs quickly and easily. 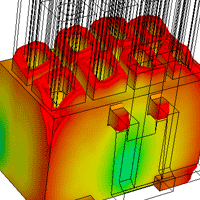 Generate Manufacturing Drawings, 3D Models and Sales Documents automatically. From a single seat to enterprise-wide deployments, there is a DriveWorks Automation product to suit the needs of most companies creating custom products. 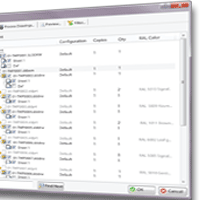 Tired of spending too much time naming, printing, converting, copying or managing your SOLIDWORKS data? Let CustomTools do it for you. CustomTools offers a suite of time saving tools fully integrated into SOLIDWORKS that will help you to enhance your creativity and productivity. 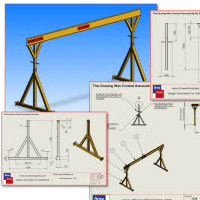 SOLID Applications are certified SOLIDWORKS training providers and provide SolidWorks training courses focused on fundamental skills and concepts key to ensuring your success with SOLIDWORKS. Ensure that your organisation gains the optimum benefit from your system. Maximise users personal productivity through in-depth knowledge of system functionality. Enhance your business operation through innovative and effective system usage. Identify scope for system applications that may not have been part of the initial justification for your investment. Deliver personal satisfaction and motivation to system users through increased skills and expertise. 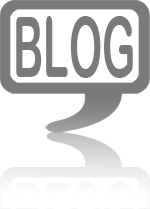 The SolidApps Blog is your home for news, views, and tips on CAD/PDM from SOLID Applications Ltd.
Below are some of the most recent posts. Follow us on Facebook, LinkedIn or Twitter to keep updated with The SolidApps Blog automatically.